In 2012, we had the pleasure of collaborating with one of our favourite fashion brands, Rag & Bone. 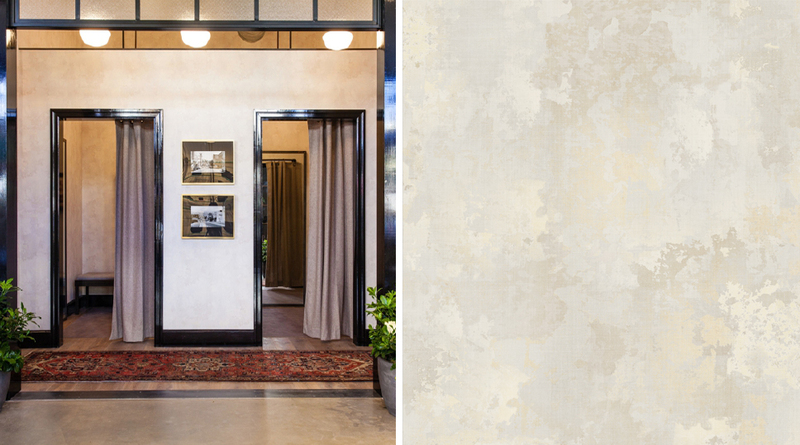 The brief: to create a wallpaper with a natural, plaster wall effect to add character and depth to some of the more bland, whitewashed areas of their stores. Working closely with the client, we developed a delicately textured paper in beautifully muted tones, and a subtle 3 dimensionality that makes you want to reach out and touch it. This paper can be seen in Rag & Bone stores in London, New York, Boston, San Francisco, and Manhasset. Printed to order, please contact info@barnebygates.com with any queries, sample requests or orders.